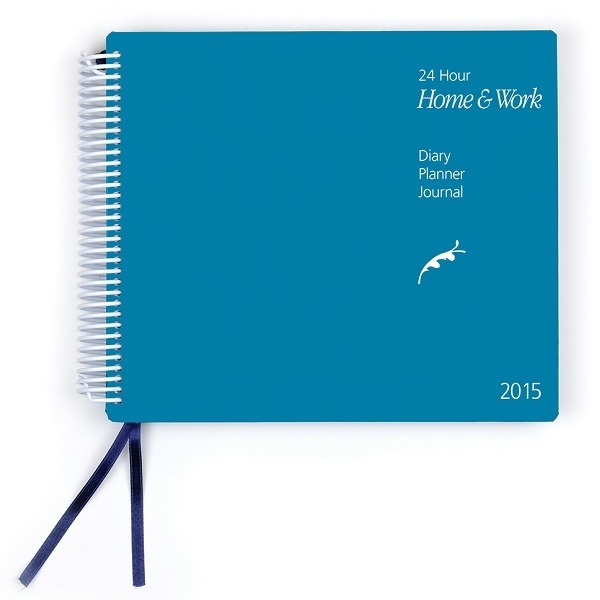 Colplan offers a reliable and easy to use planner diary for all your planning requirements. A groundbreaking diary, planner and journal for busy people juggling family, work and community life. 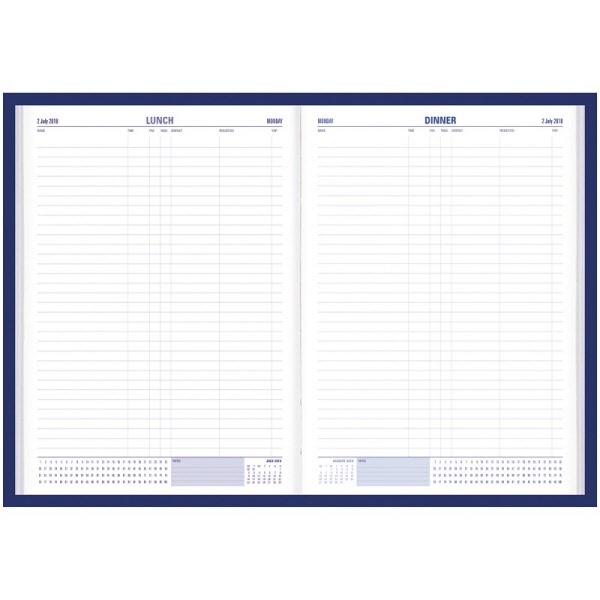 The layout accommodates 24 hour / 7 day appointments with daily action lists. There are special event countdown planners, monthly goal sheets, stress tips; even a household cleaning and maintenance checklist. Sturdy and durable with tough, versatile wiro binding that lies flat when open. Size - 240 x 210 mm with Day to a Page layout. 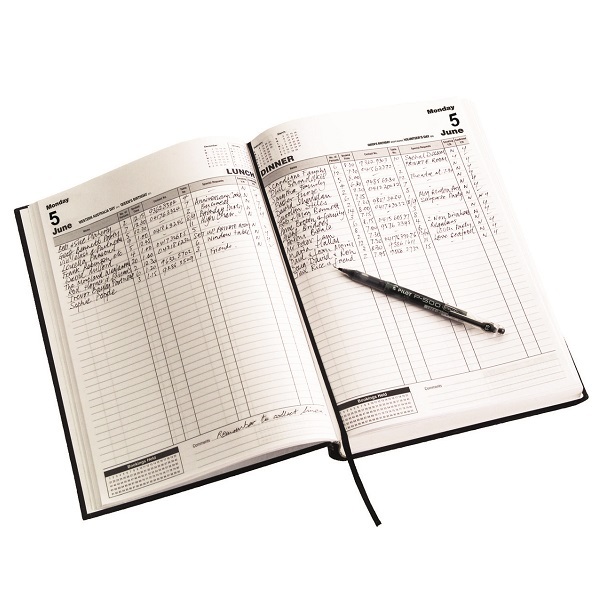 This diary has been designed specifically for use on the land, whether for crops or livestock. The extensive farming information pages and various record charts makes this a vital record-keeping register for those on the land. This versatile and handy undated Upward Travel diary is packed with full of information and is essential for all travellers. Don't leave home without one! 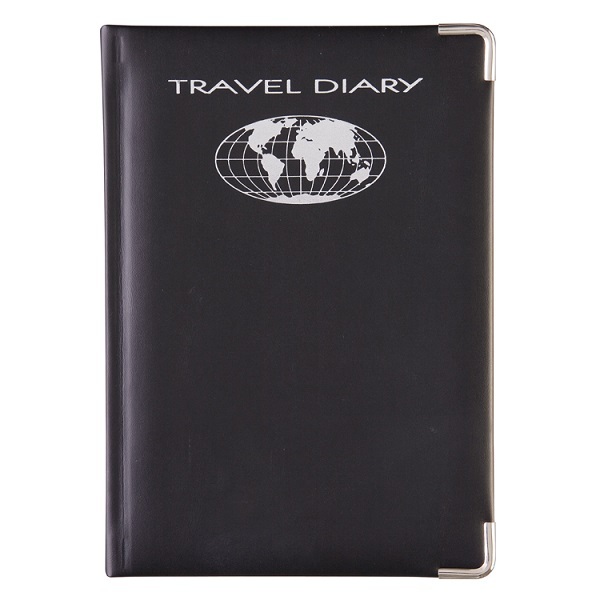 A quality travel journal with durable padded black PU cover, silver edges and silver protective corners. Complete with helpful travel information. 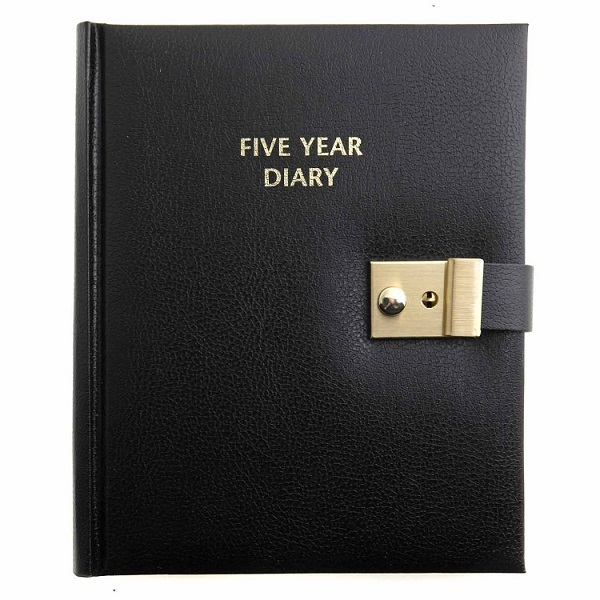 The Collins Lockable 5 Year Diary has a stylish, black leather look cover with a closing strap, lock and key. 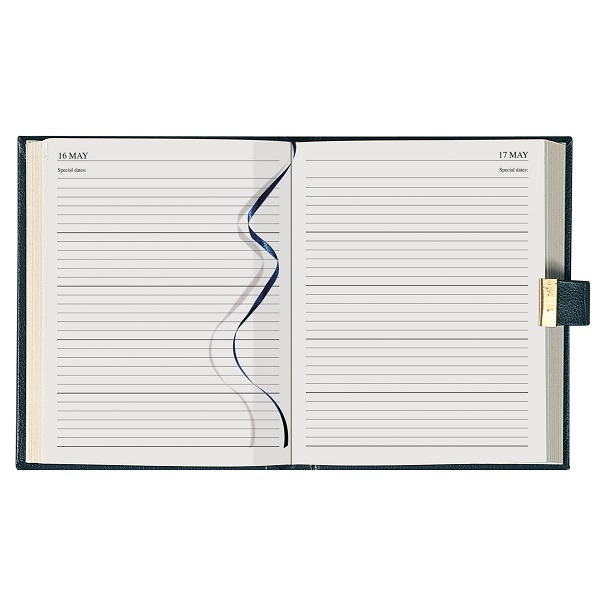 Complete with ribbon marker, metallic gilt page edging, perpetual calendar with index, gift and card lists. 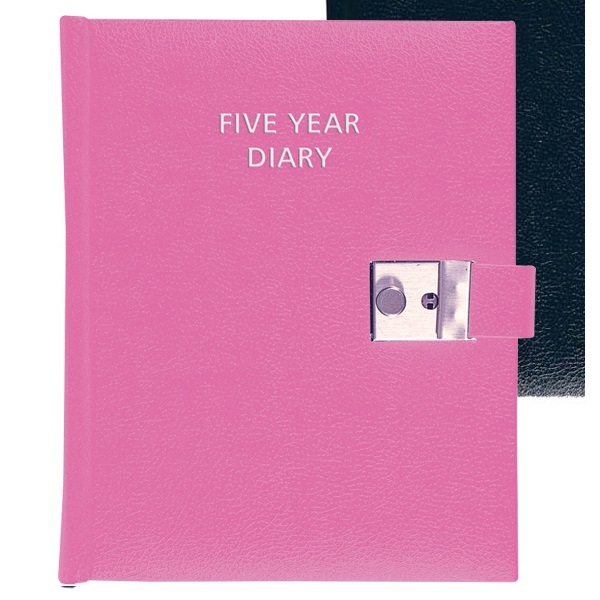 The Collins Lockable 5 Year Diary has a stylish, pink leather look cover with a closing strap, lock and key. 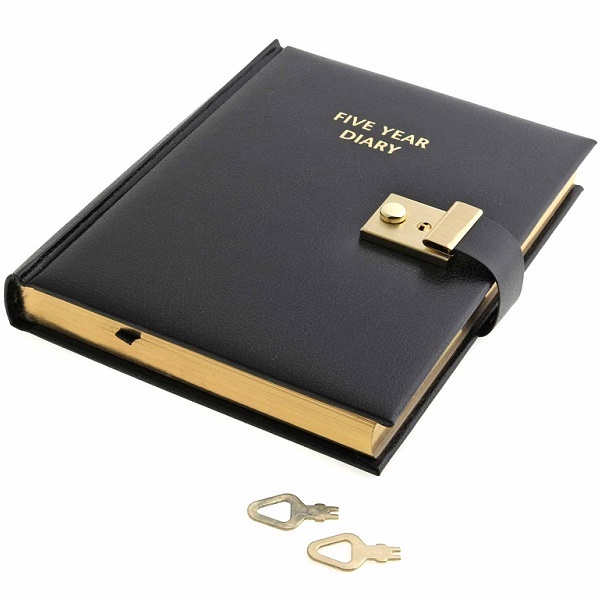 Non-dated A4 desk diary featuring any year calendars.